raving about mesh hats isn’t something that’s going to happen too often, but this Trucker Hat from Patagonia is a good look. As the brand put it “you don’t need 18 wheels to sport this high-crown, classic hat”. 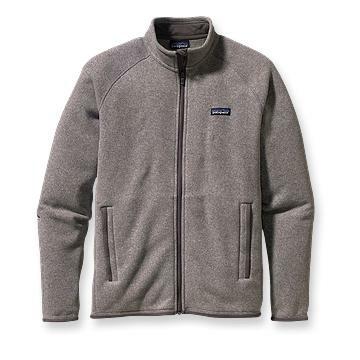 Afterall it is from Patagonia, so it’s got long lasting style which the timeless brand is known for. Made from organic cotton canvas, polyester mesh, a solid color palette, and a logo that’s a personal favorite. They just do things right. and raised in small town Wisconsin, this week’s Guest Hunter, Jamie Fisk headed to New York City in 2001 to finish up her schooling at F.I.T. She ended up spending the next 7.5 years living in the city or Brooklyn and designed Menswear at Tommy Hilfiger. In 2008, Jamie was offered the pretty amazing opportunity to pack up her belongings and head to Europe to work out of their office in Amsterdam. Needless to say, she took the position, and in true Jamie Fisk fashion, has been taking full advantage of living abroad. She travels a ton – one of her favorite trips was Iceland, where she was climbing a mountain 4 miles away from an erupting volcano. In addition to travel, she’s inspired by cooking (she’s missing the Food Network, but loves her cookbooks and food blogs), music (going to shows at the Paradiso in Amsterdam is apparently THE BEST! ), sports, nature, and uses her bike as her main source of transportation. If you haven’t figured it out yet, Jamie’s not your typical “girl in fashion”, she grew up a tomboy, and was more into sports and running around with her brothers and the boys than playing with dolls. Even now, you’re more likely to find her taking part in some sort of activity on a weekend than sipping champagne a fancy hotel. Don’t get me wrong, the girl will drink her champagne! To sum it up, she’s got energy, style, a laugh that’s infectious, is down for anything, and we’re psyched to have her along for a week of hunting. So click HERE to find out Jamie’s picks – which includes everything from Belgium Beer to a Men’s store in Wisconsin!